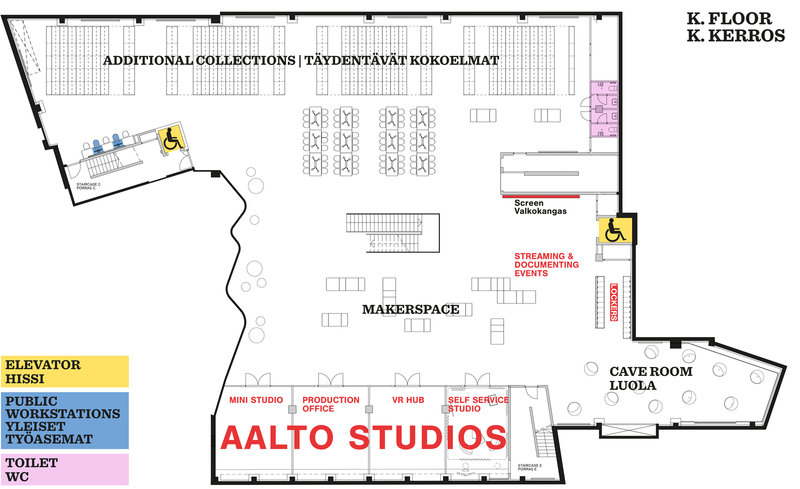 Makerspace is a cosy and flexible event arena on the lowest floor. Makerspace is an open event space located on the K floor. In total there is about 500 square metres of space to use and it can facilitate events of up to 150 people.